I had to snap a picture when I found Munchie asleep last night. He fell asleep on his sister's bed (which explains the ponk princesses!). 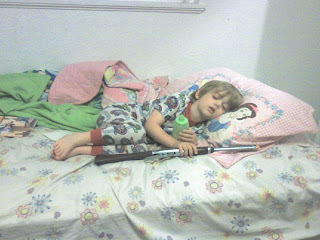 Beside him was his gun and his chocolate milk. What else does a little boy need to enter dreamland?